We are, first and foremost, an ethical and customer focused company. We will always endeavour to resolve any dispute to the satisfaction of all parties- our genuine aim is to have the happiest customers around! For legal clarity please familiarise yourself with the JTX Fitness terms and conditions below – boring, but pretty important. Sorry. Terms and Conditions of NRS Innovations Ltd trading as JTX Fitness (jtxfitness.com). These terms and conditions apply to the use of this website and by accessing this website and/or placing an order you agree to be bound by the terms and conditions set out below. If you do not agree to be bound by these terms and conditions, you may not use or access this website. Before you place an order, if you have any questions relating to these terms and conditions please contact us. We’ll be happy to help. "You" and "your" means the person who has accepted these Conditions. You are provided with access to this Website in accordance with these Conditions and any orders placed by you must be placed strictly in accordance with these Conditions. You warrant that: The Personal Information which you are required to provide when you place an order is true, accurate, current and complete. You agree not to impersonate any other person or entity or to use a false name or a name that you are not authorised to use. 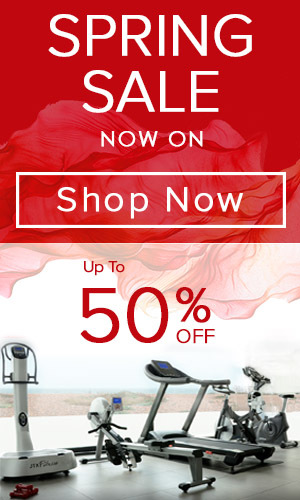 With your consent, to notify you of products or special offers that may be of interest to you. We may share your personal data with trusted third parties. 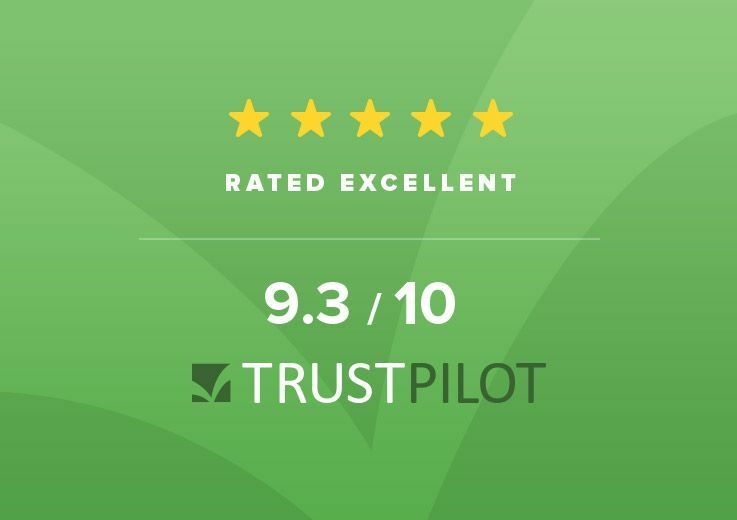 If you buy any of our products, we share your data with Trustpilot. They will contact you two weeks after your purchase to review the product you have bought and the service you have received from JTX Fitness. We do this as we are passionate about customer service. We believe the feedback you give us from an impartial review platform helps us to improve the quality of the products and services we provide to you. We also believe it offers a tangible benefit to all customers to understand other people’s experiences of the products and services they are trying to buy. Please speak to a doctor or physiotherapist if you are at all worried about following these exercises. All material on this website is provided for your information only and may not be construed as medical advice or instruction. No action or inaction should be taken based solely on the contents of this information; instead, readers should consult appropriate health professionals on any matter relating to their health and well-being. You place the order for your products on the website by pressing the 'Buy Now' button at the end of the checkout process. You will be guided through the process of placing an order by a series of simple instructions on the website. We will send to you an order acknowledgement email detailing the products you have ordered. This is not an order confirmation or order acceptance from JTX Fitness. Order acceptance and the completion of the contract between you and us will take place on the despatch to you of the Products ordered, unless we have notified you that we do not accept your order. Please note that you are entitled to cancel this contract if you so wish, provided that you exercise your right no longer than fourteen days after the day on which you receive the Products. If you wish to exercise your right to cancel this contract after your order has already been despatched please follow the procedure set out in our Delivery & Returns Policy. We are under a legal duty to supply Goods that are in conformity with the Contract. We warrant to you that any Goods purchased from us through our Site will, on delivery, conform to the Contract. This includes being of satisfactory quality, fit for purpose and as described on this Site. you give us a reasonable opportunity to inspect the Goods in the same condition as they were after discovery of the alleged breach and, at our option, either return the Goods to us at your cost, or alternatively allow us to collect the Goods, for examination to take place at our premises. The reasonable cost of packaging and carriage of Goods returned by you will be reimbursed by us if the Goods are found to be in breach of the warranty. You shall be liable to pay us for any reasonable costs incurred by us collecting Goods found not to be in breach of the warranty. If you wish to exercise your legal rights to reject Goods you must return them by post back to us or (if they are not suitable for posting) allow us to collect them from you. Please call customer services on 01273 453855 or email us at info@jtxfitness.com to arrange collection. We offer a 28 returns policy on all JTX products. Please notify us within 28 days of receiving your product of your intention to return the item. All original packaging must be retained and the product must be repacked to the standard it was received in. We will arrange a courier to collect your item from you. Once back with us we will refund you, minus the collection costs. We offer a 28 day returns policy on all JTX products. If you’d like a refund on any products from a multi product bundle, the products kept will revert back to their full web price, and you’ll be refunded the difference. Intellectual property and right to use You acknowledge and agree that the material and content contained within the Website is made available for your personal non-commercial use only and that you may (if necessary to make a Purchase) download such material and content onto only one computer hard drive for such purpose. Any other use of the material and content of the Website is strictly prohibited. You agree not to (and agree not to assist or facilitate any third party to) copy, reproduce, transmit, publish, display, distribute, commercially exploit or create derivative works of such material and content. Nothing in these Conditions excludes or limits our liability for death or personal injury caused by our negligence (or that of our employees, agents or sub-contractors), fraudulent misrepresentations or breach of any terms implied by statute. relate to any business undertaken by you because we only supply goods to you for domestic and private use (unless you took out a Commercial Warranty at point of purchase for any such qualifying product). You expressly acknowledge that the Supplier is not the original manufacturer of the goods, and that the goods have been selected by you as suitable for their purpose. The Supplier warrants to you that the goods will match their specification in both physical appearance and performance. You accordingly agree and acknowledge that all other conditions, warranties or representations whether express or implied or statutory or otherwise in respect of the goods or its fitness for any particular purpose are expressly excluded to the fullest extent permitted by law. 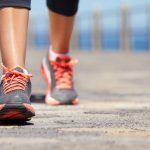 You acknowledge that neither the Supplier nor its representatives are qualified to advise you on any aspects of physical exercise or personal health. You should consult your Doctor before undertaking in any strenuous exercise. It is your responsibility to ensure that you are capable of undergoing a routine of exercises using the goods. You accept the risk of injury from performing exercises on the goods and are advised to consult your doctor prior to beginning any fitness program or exercise on the goods supplied. It is the customer’s responsibility to retain all packaging in a safe place in order to enable any returns, exchanges or services to the machine. We reserve the right to charge an additional fee to provide new packaging if the original packaging is lost or discarded by the customer and the product needs to be returned to JTX Fitness. 2. 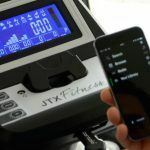 Employees or agencies of JTX Fitness, its group companies, their family members, or anyone else connected with the Prize Draw may not enter the Prize Draw. 4. By submitting your personal information you agree to receive emails in relation to the prize draw. As part of the survey, you will also be asked if you would like to join our mailing list. If you agree to this, you are giving JTX Fitness consent to send emails containing offers and developments that we think may interest you. You will be given the opportunity to unsubscribe on every email that we send. 5. To enter the Prize Draw you must complete the JTX Fitness Customer Feedback survey and submit your name email address. No purchase is necessary. If you have any questions about how to enter or in connection with the Prize Draw, please e-mail us at info@jtxfitness.com with "JTX Fitness Customer Feedback Survey" in the subject line. 7. JTX Fitness accepts no responsibility is taken for entries that are lost, delayed, misdirected or incomplete or cannot be entered for any technical or other reason. 8. The closing date of the Prize Draw is 23:59 on 31 October 2018. Entries received outside this time period will not be considered. 9. One winner will be chosen from a random draw of entries received in accordance with these Terms and Conditions. The draw will be performed by a random computer process. The draw will take place on 1 November 2018. 10. The winner will be given the choice of a £80 JTX Fitness voucher or a £50 Amazon voucher. 11. The winner will be notified by email on or before 22 November 2018 and must provide a postal address to claim their prize. If a winner does not respond to JTX Fitness within 14 days of being notified, then the winner's prize will be forfeited and JTX Fitness shall be entitled to select another winner in accordance with the process described above (and that winner will have to respond to notification of their win within 14 days or else they will also forfeit their prize). If a winner rejects their prize or the entry is invalid or in breach of these Terms and Conditions, the winner's prize will be forfeited and JTX Fitness shall be entitled to select another winner. 13. The prize will be sent to the winner by JTX Fitness by post. 16. 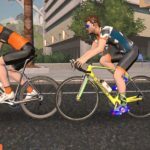 JTX Fitness retains the right to substitute the prize with another prize of similar value in the event the original prize offered is not available. 18. JTX Fitness accepts no responsibility for any damage, loss, liabilities, injury or disappointment incurred or suffered by you as a result of entering the Prize Draw or accepting the prize. 19. JTX Fitness reserves the right at any time and from time to time to modify or discontinue, temporarily or permanently, this Prize Draw with or without prior notice due to reasons outside its control (including, without limitation, in the case of anticipated, suspected or actual fraud). The decision of JTX Fitness in all matters under its control is final and binding and no correspondence will be entered into. 20. JTX Fitness shall not be liable for any failure to comply with its obligations where the failure is caused by something outside its reasonable control. Such circumstances shall include, but not be limited to, weather conditions, fire, flood, hurricane, strike, industrial dispute, war, hostilities, political unrest, riots, civil commotion, inevitable accidents, supervening legislation or any other circumstances amounting to force majeure.